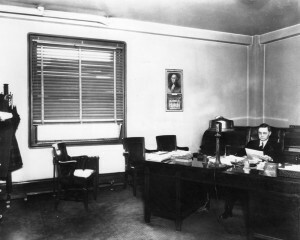 The circumstances of Ray Raymond’s death may have been successfully covered up if not for local newshounds who got wind of the fight and his subsequent death. They called on the Coroner and began asking for details, but he couldn’t tell them a thing – Raymond’s death had not been reported to him! Dorothy’s $500 payment to Dr. Sullivan had clearly been worth every cent. Coroner Nance called the hospital where Raymond had died, and was informed that not only was Ray deceased his body had been removed by an undertaker! 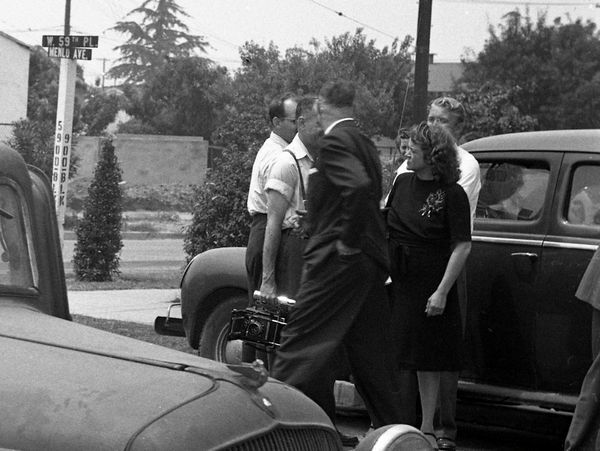 Nance followed up and located Raymond’s body at a Hollywood mortuary. He immediately claimed the body to perform an autopsy. 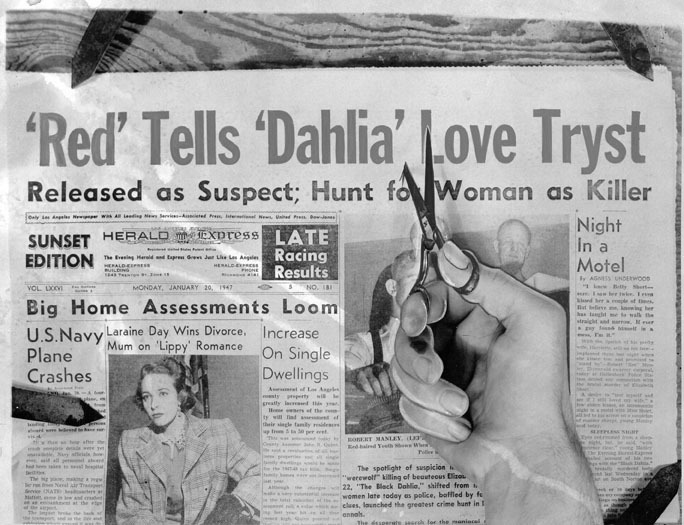 Not surprisingly, Coroner Nance’s findings didn’t agree with those of Dr. Sullivan — and Dr. Nance had harsh words for both Paul Kelly and Dorothy Mackaye. I agree with Coroner Nance. 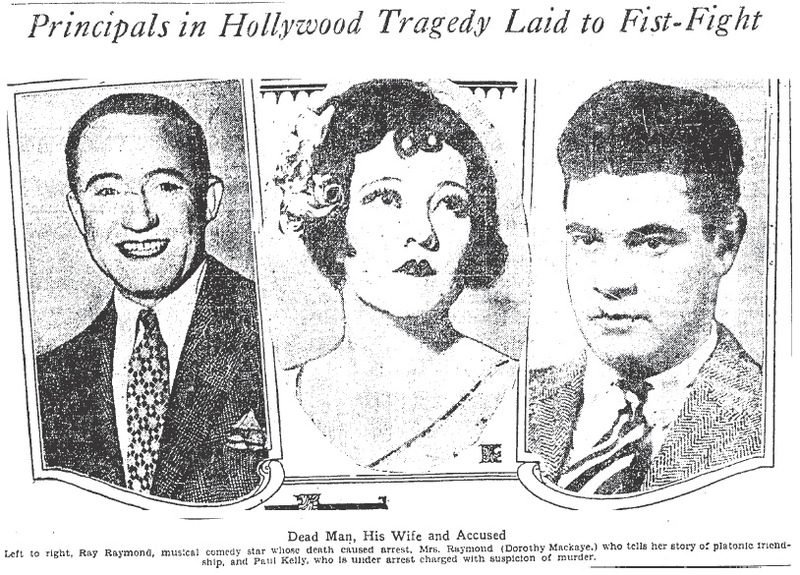 Dorothy Mackaye collapsed three times at the grand jury inquiry into Ray’s death. At one point she fell to the marble floor with enough force to render her unconscious for ten minutes. She must have become light-headed after finally being compelled to tell the truth about the day of the beating. Her original story had been that she’d gone out to get Easter eggs for her daughter and to go to a dressmaker. 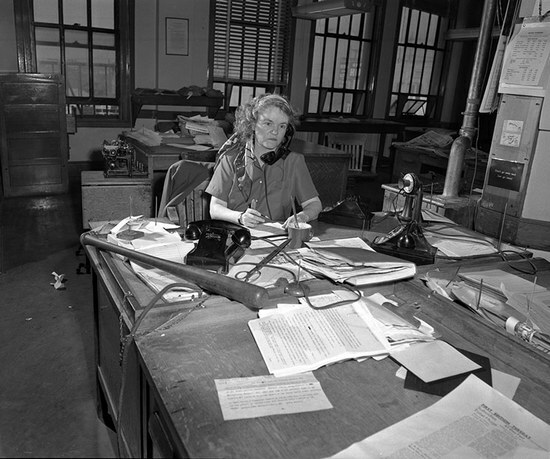 The truth was that she and one of her so-called chaperones, Helen Wilkinson, had been at Kelly’s apartment drinking and had been present when he phoned Ray. Dorothy had no words of sadness or remorse for Ray’s miserable death. In true Hollywood diva fashion, it was all about her. In Kelly’s statement to the cops he said he’d purposely called Ray to demand an apology. Seems pretty ballsy to demand that Ray retract statements about Kelly’s relationship with Dorothy — statements which were true. Kelly also told cops was that he went to Raymond’s home “to give him the threshing that was coming to him”. Kelly wouldn’t make any other statements except to profess his love for Dorothy. 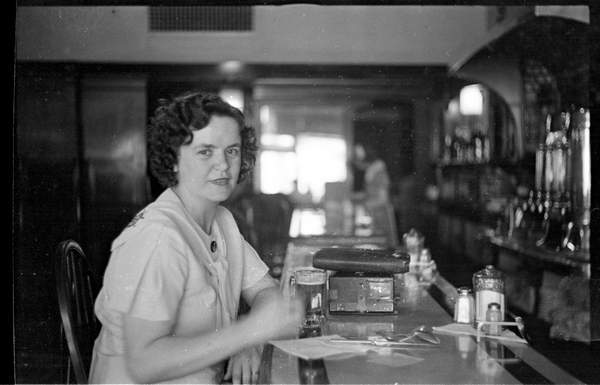 Witnesses stated that Dorothy was still at Kelly’s apartment when he returned after viciously beating Ray, and apparently the couple retired to a rear room and conferred in secret for nearly thirty minutes — obviously to get their stories straight. Mackaye admitted that she and Ray hadn’t been happy for some time and had discussed divorce, but they hadn’t gone through with it due to financial concerns. Oh, and any talk of a future marriage with Kelly had been done “in a joking manner”. 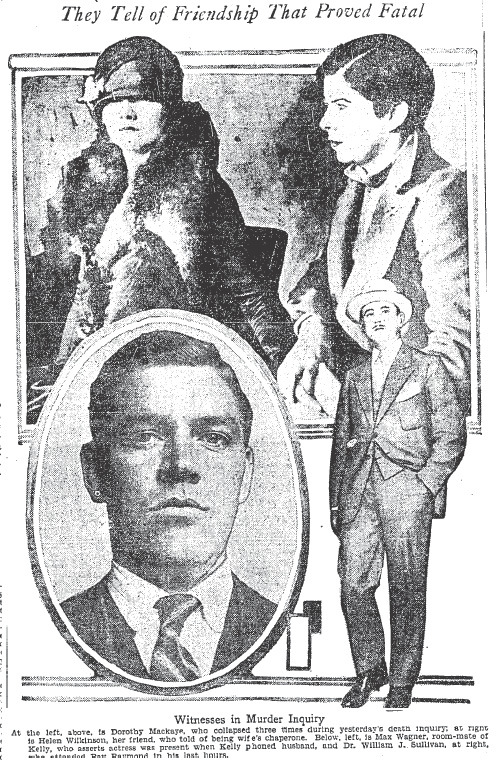 Paul Kelly was indicted for the murder of Ray Raymond, and Dorothy Mackaye was indicted for concealing facts in the case.